Conjure your winnings! 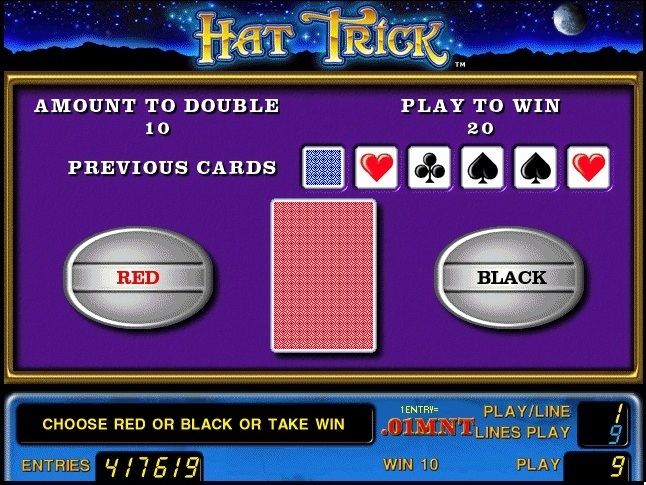 Cast a winning spell with Hat Trick™, the magical new 9-line 5-reel video game. Enter the world of wizardry and summon your fortune. 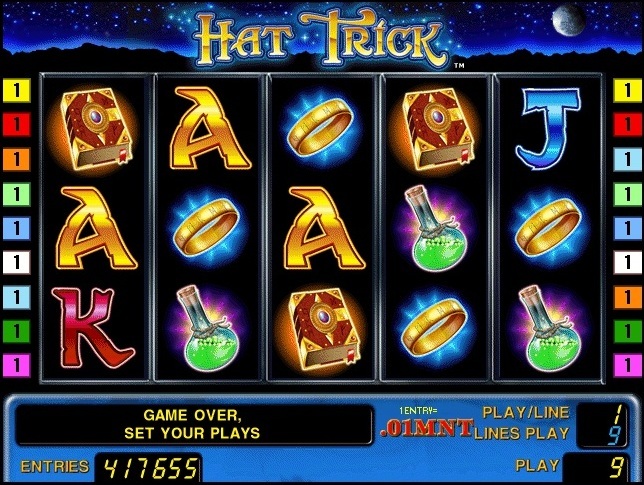 The wizard’s hat is the key to increasing your wins throughout the spellbinding feature. WIZARD substitutes for all symbols except WIZARD HAT. 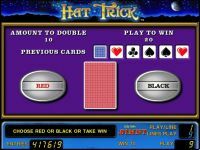 Scattered WIZARD HAT on reels 1, 3 and 5 trigger 10 free games. Both WIZARD and WIZARD HAT substitute for all other symbols during the feature. Free games begin with a win multiplier of x2. 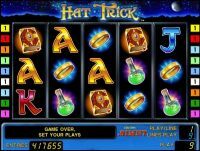 Each retrigger during free games increases the win multiplier.